The movie The New Fire was shown Friday at the Vermont International Film Festival in Burlington VT. I attended the screening. I am tempted to write a click-bait heading about my experience. "I saw The New Fire in Burlington Vermont. What I discovered will surprise you!" The showing surprised me, at least. This is Vermont. I expected the audience to be hostile to nuclear energy. I expected some boo-ing during the film, and aggressive questions to the director at the Q and A period after the film. None of that happened. The New Fire follows dedicated young people as they develop new types of reactors. The film shows competent, idealistic young engineers as they design an exciting new generation of reactors. Their work will make the world far less dependent on fossil fuels. Their dedication and idealism shines through the film. I felt inspired and energized as I watched. The rest of the audience also appeared to be impressed. During the film, the audience was quiet and thoughtful. Afterward, they asked reasonable questions, not aggressive rants disguised as questions. In the hallway later, the conversations were interested and even a bit hopeful. The competence and sincerity of the young engineers had clearly made an impression on the people watching the film. As a nuclear advocate, I am grateful to director David Schumacher for making The New Fire. I hope it will be shown widely. (The DVD is also available on Amazon.) This movie will inspire more people to understand the hope and the reality of the new generation of nuclear power. Perhaps they may even begin to appreciate our current generation of nuclear plants. I had seen the film at an earlier showing, and I had also watched the DVD with my husband. So the movie was not new to me. What was new was that I was seeing it in Burlington, at a film festival. The audience's reaction made me feel better about Vermont. Trying to save Vermont Yankee left me with a deep seated (but rarely expressed) anger at the crowing of the plant opponents when the plant announced it would close. My anger often spread itself further than just those people I could easily identify as people who hated Vermont Yankee. It began to encompass many people in Vermont. Watching this film made me happier about Vermont people and Vermont as a state. Some Vermonters will consider nuclear power. Some Vermonters recognize idealism when they see it. Some Vermonters are willing to learn. David Schumacher said that the positive audience reactions at this showing was typical of all the showings. I was glad to hear this. I saw The New Fire in Burlington Vermont. What I discovered surprised me! Each year, Nuclear Science Week plans one Big Event at a single location. This year, the Big Event is in Albuquerque New Mexico. Many activities at the Big Event center around the National Museum Of Nuclear Science and History. At this Smithsonian-affiliated museum, the indoor area includes exhibits on energy, uranium, nuclear medicine and more. 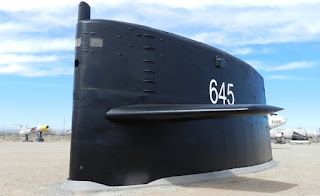 The Museum also contains a nine acre outdoor exhibit area, Heritage Park, with mostly military exhibits. 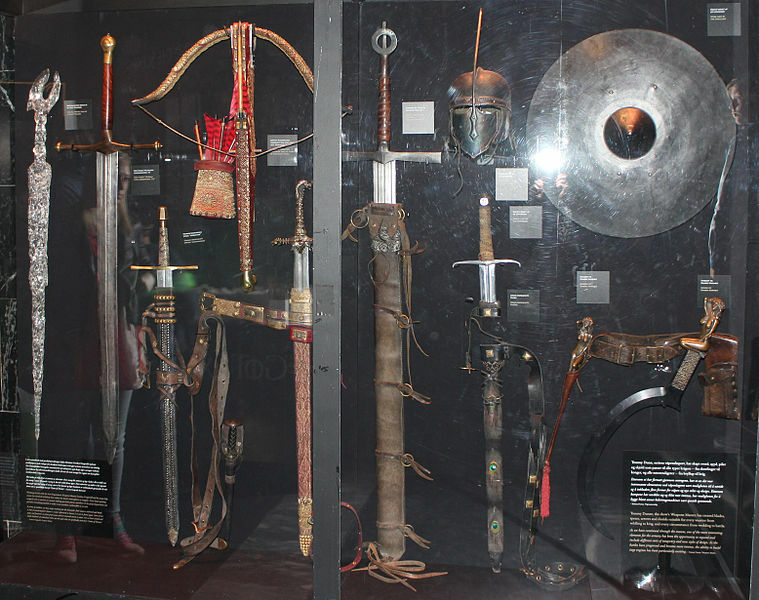 I am happy to be visiting the museum. And of course, I am happy to be keynote speaker. I am not the only distinguished speaker who will be at The Big Event. (Wow, I just called myself a "distinguished speaker." Maybe that keynote business is going to my head?) 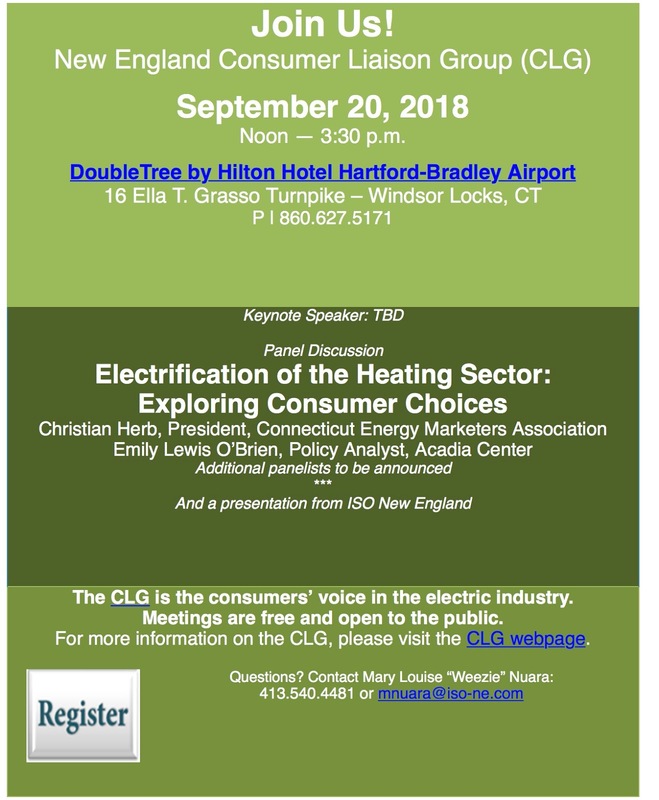 Other speakers include Jim Walther (executive director of the Museum) and Carol Browner, head of the EPA under Clinton, and now a leader in Nuclear Matters. Browner, Walther and I (among others) will be speaking on Monday October 15. On Wednesday, October 17, Michael Shellenberger will speak at a showing of Pandora's Promise. On Thursday, the Department of Energy and the Museum will host a Millennial Nuclear Caucus on the theme of "Nuclear Science in Pop Culture." Starting this year, Palo Verde Nuclear Generating Station is partnering with the Museum to be a major sponsor for The Big Event. It is going to be a wonderful week in New Mexico (schedule). I hope you can attend! See the full list of Savannah River area Nuclear Science Week events at the SRSRCO web page about Nuclear Science Week. Nuclear Science Week is not just for people who can attend a local event, spectacular as some of the events may be. For example, the Nuclear Science Week website has a tab Get Involved. Everyone can find something interesting on this tab. There's a section on lesson plans for elementary school, middle school and high school. The resources include games to learn physics, a "mock Senate" module to lead to discussions of energy choices, and more. The tab on Resources is also rich with links and ideas. In short, the Nuclear Science Week website is a resource for all of us. If you can't come to New Mexico, or Georgia, don't feel left out. I enjoy browsing the Nuclear Science Week website, and I think you will enjoy it also. Alan Walter opens the conference. Rod Adams and I are covering the Low Rad meeting. I urge everyone to read his post (which he posted just a few minutes ago) and comment on it. I am now in the morning of the third day of the Low Dose Radiation conference, and it has been non-stop learning. In between the sessions and the poster sessions, it has been hard to post. To give you an example of what I mean, on Monday morning there were eight presentations, not counting various welcoming remarks. At lunch, Michael Shellenberger gave a stirring talk. In the afternoon, there were two panel discussions and four presentations. The poster session is also extraordinarily interesting. And I haven't even mentioned the handbell concert at breakfast. When I say "nonstop," I mean nonstop. I cannot possibly summarize this conference. That's the bad news. The good news is that since I can't possibly cover the whole thing, I will just hit some high points, and add plenty of commentary. Starting with Monday morning. Brenner talk: The first keynote was by David Brenner of Columbia University. He supported LNT as the proper measure for low-dose radiation. The two arguments that he used to support the LNT theory really struck me, but not in a good way. He used the idea that there is a cell, and it gets zapped with radiation. We know quite a bit about high doses, but as we lower the dose, we can expect that each cell will only be zapped one time. Then, as we lower the dose further, fewer cells will be zapped, but each cell which is zapped will be zapped pretty much the same way. He admitted that repair mechanisms exist, but felt they were the same (or could be considered to be the same) if every cell was zapped once, or if only half the cells were zapped. Therefore, he considers LNT to be correct. My opinion: this was an overly-simplistic gedanken experiment. Later in the meeting, I heard many scientists describing the complex interactions of radiation, expression of genes, DNA repair, and so forth. He also claimed that radiation damage to a fetus was another reason to support LNT, because fetuses do not have the confounding factors that adult humans have: no smokers, drinkers, etc. So damage to a fetus can stand in for damage for adults. My opinion: "I'll drink to that. And while I am at it, I will have a thalidomide pill, if I can find one, in case I get a little nauseated." In other words, many things that harm a fetus (alcohol, thalidomide) are not harmful to an adult, especially at low doses. Many choices that would have been unwise for me to make while I was pregnant are no particular problem to me now. His fetus-centric argument strikes me as a thin reed to hold such an immense regulatory structure. McClellan talk. The second keynote was by Roger McClellan, an internationally known expert in inhalation toxicology. He has worked in both radiation toxicology and chemical toxicology, and understands the difficulties of obtaining good data at low doses. Brenner's conclusions about low dosages were clear (but wrong in my opinion), while McClellan was nuanced. McClellan said that all industries, de facto, use ALARA (as low as reasonably achievable) for exposure, basically because no CEO wants to get sued. He concluded that poverty is far more dangerous to human health than the low-dose issues of nuclear energy. (I hope I am reporting this correctly.) I enjoyed his talk, and hope to read it in full at some time, to report on it more accurately. The next part of the meeting was what I call the March of the Initials. At this point, I need to encourage people to go to the program tab of the Low Radiation Dose Conference website. Note: Wieland was standing in for Abel Gonzalez, whose name is on the paper but could not attend the meeting. As this point, I encourage people to go the website for the program, go to the program tab, and download the zip file of the Flash Drive for more information. Michael Shellenberger, founder of Environmental Progress, spoke at the luncheon, with a fascinating talk on "The Making of Radiation Panic." History teaches us the way forward. To some extent, the bomb-making scientists (such as Oppenheimer) found themselves displaced in the public esteem by the reactor-making leaders (such as Rickover). They did not necessarily like this fact. Also, many of the older scientists, including Einstein, had the Utopian idea that the bomb would lead to a world government, which would mostly supersede the nation-states. This also did not happen. It's a complex story, and Shellenberger told it well. It became a battle between the idea of promoting world peace through promoting fear of radiation, and promoting world prosperity through the use of nuclear power. I believe Shellenberger is writing a book on this subject. I will be eager to read it. There's so much more to say. But if I don't post now, I will be late to the meeting! It is generally agreed that high radiation doses can be very harmful. However, few things in nature are described by simple straight lines, and other effects of radiation are not so clear. Is exposure to low levels of radiation harmful, neutral, or helpful? Let's just say that the answers are controversial: no "general agreement" here! Next week, in Pasco Washington, a joint meeting of the American Nuclear Society and the Health Physics Society will attempt to get some clarity on the effects of low dose radiation. Experts from many countries will attend. I am pleased to say I will be at that meeting and I will be blogging about it. Watch this space! Here's the press release announcing the meeting. 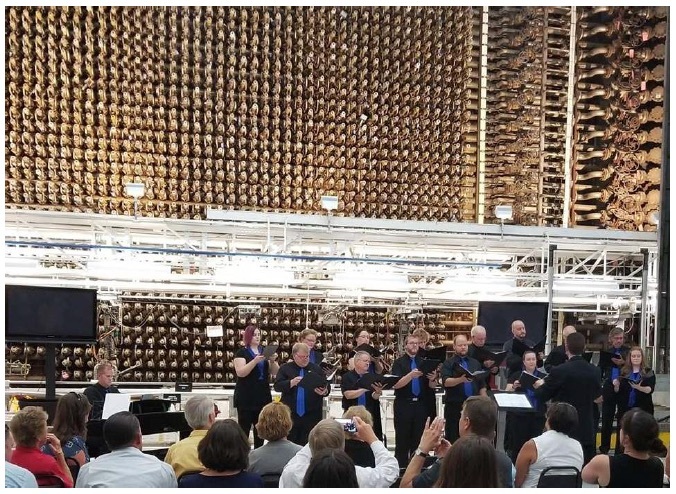 RICHLAND, Wash. – The American Nuclear Society and the Health Physics Society have joined to provide an international forum of current nuclear expertise to evaluate whether existing low dose protection standards should be reconsidered. Ethical standards for many, including radiation biologists and epidemiologists in recent years, call into question the justification for unintended consequences that may result from adherence to the long-established model. I have been to a meeting that held its banquet at a museum after-hours. That was pretty cool. This meeting will hold a kick-off banquet at a decommissioned reactor from the Manhattan Project! That is beyond merely cool! I am very happy that I will be able to attend this event. 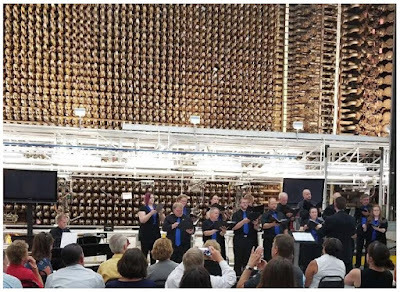 The Mid-Columbia Master Singers will perform at the banquet: the photo above is from an earlier performance. Here's a video of their performance at B reactor last year. Enjoy! The next meeting of the Consumer Liaison Group will be Thursday, September 20, in Windsor Locks, Connecticut. The topic is Electrification of the Heating Sector. AUGUST 13, 2018 - Maybe the timing was just co-incidence. 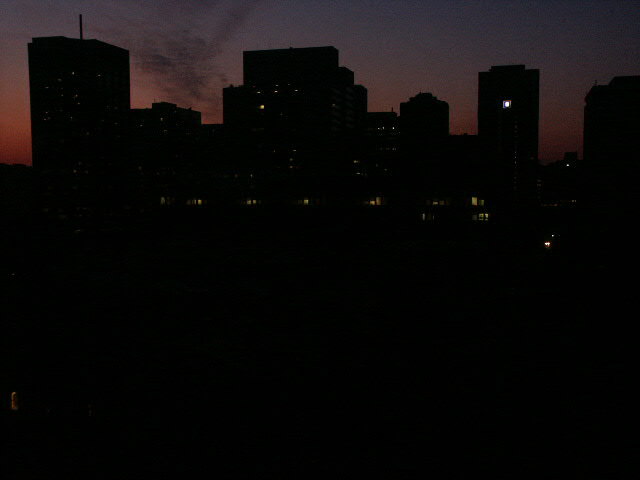 But today, on the eve of the 15th anniversary of the August 14, 2003 Big Blackout that put 50 million North Americans in the dark, Gov. Phil Scott and four other New England governors announced plans to prevent crippling power blackouts. The 2003 outage blacked out an estimated 50 million people and 61,800 megawatts (MW) of electric load in eight northeastern states, including parts of southern Vermont, and Ontario. Maybe the governors remember the Big Blackout, but it’s more likely they are heeding this winter’s scary wake-up call. For three weeks of record cold in December and January, New England homeowners burned record amounts of natural gas to stay warm. Power grid operators lacked adequate supply to power regional natural-gas fired plants. The New England grid was already playing with a thin bench, due to recent closures of coal and nuclear power plants. Things got worse when a transmission line failure separated an operational nuclear power plant from its customers. In extremis, grid operators burned backup stockpiles of dirty, expensive coal and oil. Soon even these supplies began to run low. Had sub-zero temperatures persisted, the grim reality of blackouts, frozen pipes and frostbitten New Englanders was imminent. More backup generation, fuel storage and transmission. For those of us who may have forgotten the 8/14/2003 Big Blackout, or vaguely remember seeing news coverage on our (electric) television sets – power was not restored for 4 days in some parts of the United States, according to the official EPA final report April, 2004. According to August 13 2013, ISO Newswire, New England was largely spared from the effects of the outage because protective equipment installed on the transmission system sensed the disturbance and automatically closed the ‘electricity border’ with New York, splitting New England away from the collapsing power system to the west. But that’s history. New England’s governors have taken the important first step of acknowledging a serious, life-threatening problem exists. Whether they can prevent another Big Blackout is a question for historians of the future. Guy Page, a frequent guest blogger at this site, published this in his newsletter: State House Headliners. Copyright © 2018 Guy Page, All rights reserved. I wrote recently about The Game of Peaks. This game is a business move, not a moral imperative. Utilities pay a percentage of overall grid costs based on the percentage of power they use during the high-usage peak hour on the grid. Lowering their usage at that time can save significant amounts of money for the utility. Note that "beating the peak" saves money for one utility, but the fixed costs of the grid remain the same. If one utility beats the peak, another utility will pay more for the fixed costs of the grid. Beating the Peak has little to do with conservation, a clean grid, etc. We are talking about cost shifting from one business to another. It irritates me when utilities wrap themselves in "do-good" rhetoric about this cost shift plan. I plan a series of posts about Vermont utilities and their various strategies for Beating the Peak. I start today with the biggest utility (Green Mountain Power) which has the most high-tech strategy (batteries). In an article in 2016, Green Mountain Power claims to have used batteries to reduce its peak power demand and save its customers $200,000 in an hour. We know that Green Mountain Power plans to use batteries to shave the peak this year, also, as described in their recent press release: During Hot Weather GMP Leveraging Stored Energy to Drive Down Peak Power Demand and Lower Costs for Customers In the press release, GMP describes the use of solar power and batteries in terms of 5,000 homes powered by battery during the peak, and that GMP's power sources are 90% carbon free. The battery story is a bit more complicated, actually. The press release above claims that Vermonters have installed nearly 500 Powerwall batteries in their homes...GMP can share access to stored energy to pull down power demand at key times... and drive down costs for all customers. Actually, Green Mountain Power is not deploying its Tesla battery units as fast as it had hoped to do so. Electrek reported in April that only 200 home Powerwalls had been installed out of 2000 that GMP planned to install. However, the article said that the utility was making some "big deals" (with commercial customers?) that would lead to more deployment. If there were 200 batteries in April and 500 now, the pace of installation must have increased. Here's how Electrek describes the arrangement GMP makes with its customers for Powerwalls: Under their agreement with the electric utility, homeowners who receive a Powerwall are able to use it for backup power for “$15 a month or a $1,500 one-time fee”, which is significantly less expensive the ~$7,000 cost of the device with installation, but in return, Green Mountain Power is able to access the energy in the pack to support its grid, like a virtual power plant. 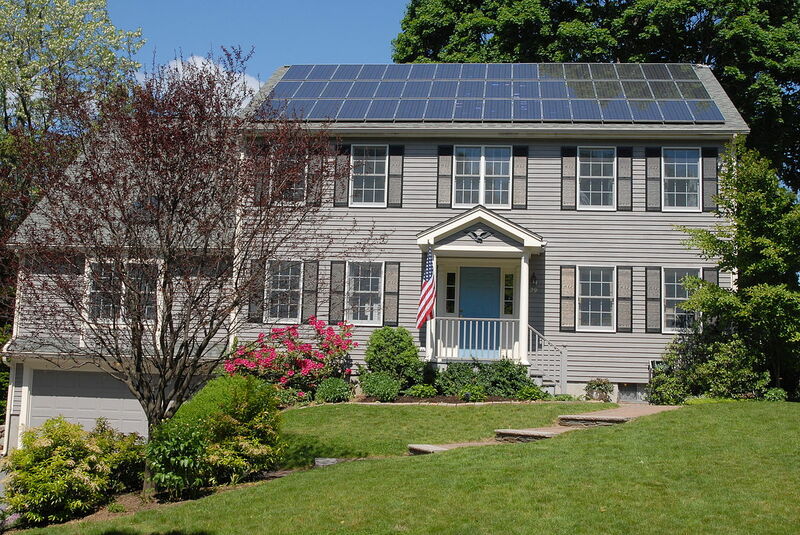 UPDATE: Green Mountain Power has just claimed to have saved $500k during the recent heatwave, deploying "enough batteries to accomplish the equivalent of taking 5000 homes off the grid." They also said they had deployed 500 Powerwall batteries. In this case, my estimate of $1000 saved per battery (see below) would be correct. However, as described in the article, GMP also has solar storage facilities, access to electric vehicle chargers, and other methods of saving electricity. Because of the other methods of saving electricity, as well the Powerwalls, my estimate of $1000 saved per battery is too high. Since there is no way for me to correct the estimate, I will stay with that estimate, but note that it is optimistic on the role of batteries. Vermont Business Magazine: Stored energy helped GMP cave $500 K during heatwave. Let's do some math. If batteries "beat the peak" for Green Mountain Power, they could be cost effective. Let's say GMP installs 1000 batteries, and each battery costs them $7,000 (true cost) minus $1,500 (cost the homeowner pays.) So each battery costs Green Mountain Power $5,500. With 1000 batteries, they will have invested $5.5 million dollars in batteries. If GMP saves only $200,000 a year by beating-the-peak, it would take GMP about 27 years to make up the $5.5 million cost for the batteries. Hopefully, they will actually save more, or perhaps they got a better deal on the batteries. I'll look the calculation a different way, however. In 2016, Green Mountain Power saved $200,000 a year with less than 200 batteries deployed. If GMP saves $1000 a year per battery, it will only take them 5.5 years to make up the costs of the batteries, which is a more reasonable payback time. 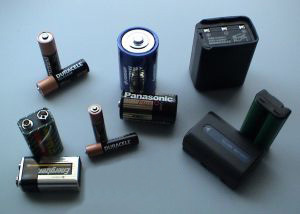 However, if GMP deploys all 2000 batteries that they plan to use, will they be able to save $1000 per battery? Will they be able to save $2 million in a year? To answer this question, I would have to look at what they would pay for transmission without using the batteries. First, we need to know the overall grid costs for transmission. That part is easy: ISO-NE expects to spend $700 million dollars on transmission this year. Then comes the hard part: estimating Green Mountain Power's peak use compared to grid peak use. I fear this would be a lot of speculation on my part. I don't know how much GMP would pay without the batteries. And by what percentage would the batteries cut demand? Perhaps GMP could save $2 million a year on transmission costs, by using the batteries. Perhaps they couldn't. I will just leave the question out there. Note: It is not clear how quickly the homeowner will make back their share ($1500) of the costs of the batteries. My opinion of the GMP Strategy: Not very cost-effective. Not straightforward. Cost: Batteries are an innovative way to shave a peak, but they don't look particularly cost-effective. They are okay, but even a six year payback is long, in terms of business calculations. And a six year payback was my most optimistic calculation. Rhetoric: In my opinion, GMP's rhetoric about the batteries and the peak is misleading. Their press release is full of feel-good words about the environment, and nothing about how the money is saved --the "savings" is really a transfer of grid costs to other utilities. Cutting back on electricity use on the hottest day of the summer is not a moral imperative. It is merely part of The Game of Peaks. This game allows large utilities to shift costs to smaller utilities and co-operatives. Luckily Game of Peaks is all about accountants, not swords. The Game of Peaks is nowhere near as brutal as the Game of Thrones. Nobody gets killed in the Game of Peaks, but lots of people get misled about the situation on the grid. And lots of people end up paying more than their fair share of grid costs. There are losers in the Game of Peaks. You may be one of them. ISO-NE must charge utilities their "fair share" of system costs, particularly transmission costs. But what is their fair share? 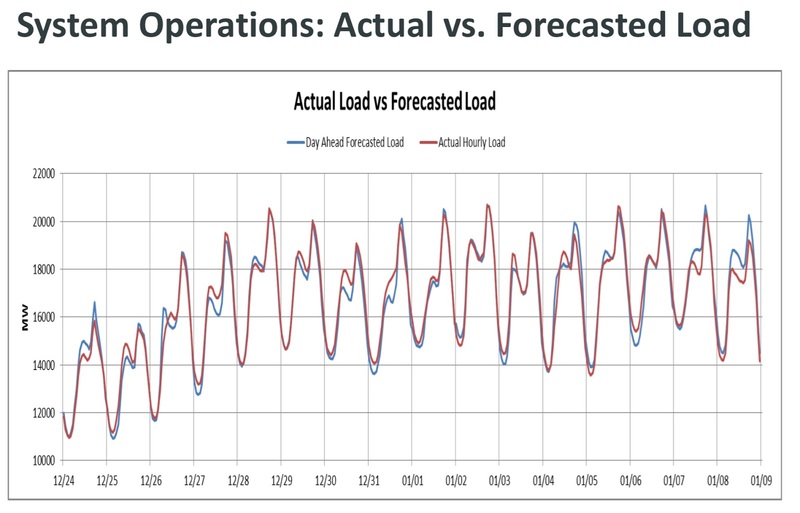 ISO determines a utility's share of the grid-wide transmission costs by determining the power used by that utility during the peak-usage hour on the grid. The percentage of power used during the peak is the percentage of transmission costs that the utility has to pay. Of course, this percentage calculation is an opportunity for utilities to shift costs elsewhere. Utilities campaign about "shaving the peak." Announcements state that "we saved hundreds of thousands of dollars by shaving the peak." For example, in this Burlington Free Press article from 2016, Green Mountain Power claims to have used batteries to reduce its peak power demand, saving customers $200,000 in an hour. The statement about saving $200,000 in an hour is a bit misleading. It looks like it is about energy conservation, sparing the grid, etc. It isn't. That $200,000 wasn't some excess cost of electricity in that single hour. The savings comes from the fact that Green Mountain Power used its predictive power and its batteries to reduce its demand at the time of peak demand. Therefore, it will reduce the amount it pays for grid-level transmission. Somebody is still paying that $200K for transmission: the overall cost of grid transmission hasn't changed. Some other utility is paying that cost. According to an article yesterday in Electrek, Green Mountain Power has now has 5,000 kWh of battery storage at this time. This 5 MWh of storage will not make much difference to expense of transmission on the grid. However, Green Mountain Power hopes it will make a major difference to their own bottom line, as it did in 2016.
keeping the grid from failing (there's plenty of reserve capacity). The local grid is doing well in very hot weather. I am writing this post because utilities only seem to talk about the grid when they are pushing "beat the peak." If the peak is beaten, the peak-beating utilities save money, and the other utilities have to pay more. It's a zero-sum game, not a moral imperative. Unfortunately, people know very little about the grid, except that you "shouldn't" (whatever that means) use as much electricity on a hot day in summer. If I write about the grid, I need to debunk that fallacy. I feel that if I am going to write about the problems the local grid faces in winter, I also needed to write about the problems of summer. Or rather, about the non-problems of summer, and the misleading rhetoric of some utilities. Don't get me wrong. Being thrifty and not using excess power is always a very good thing. Still, it helps the environment more if you are thrifty with electric usage in winter (with all that oil and coal-burning) than in midsummer. It helps your local utility's bottom line more if you are thrifty with electric use in summer. My voice is rather muted, compared to utility advertising campaigns, but I felt that I must speak up. The Northeast is using a lot of power, but the grid is not particularly stressed. "Using a lot of power" and "stressed grid" are not the same thing. Many local utilities are urging conservation...but this is not because the grid is stressed. 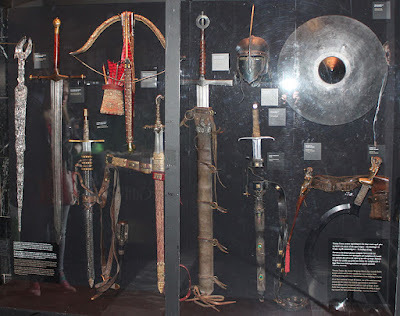 More about conservation in the next post. How can I say the grid is not stressed? We're having a major heat wave! For days, Vermont temperatures have been in the high nineties. A number of communities opened "Cooling Stations" in public building such as fire departments. People were encouraged to go to air-conditioned malls, drink water, check in on elderly people who may need assistance, etc. Okay, it's hot. But I will start by comparing the grid situation on this heat wave with the grid situation in the cold snap in December-January. Let's look at the ISO-NE electricity usage chart for July 3. The peak is near 25,000 MW. The LMP (local marginal price) prices for electricity were between about $25 and $80 per MWh, or about 3 cents to 8 cents per kWh. In contrast, during the cold snap at the beginning of this year, electricity use never got much higher than 22,000 MW, as shown in this graph from the ISO report on cold weather operations. 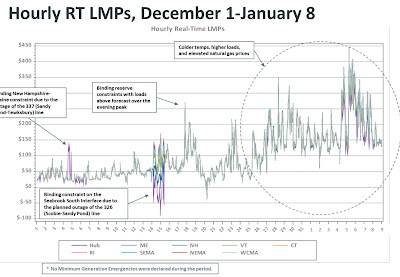 However, in the cold snap, the LMP prices spent a lot of time between $150 and $300 per MWh (15 cents to 30 cents per kWh). The circled area on the graph below, from the same ISO report. In short, during the cold snap we used less electricity and paid higher prices than we do now. Using more electricity in New England means making more carbon dioxide and burning more fossil fuels. So conservation is always good. But is conservation in summer particularly wonderful? Not really. Right now, we have a fairly clean grid. The fuel mix is mostly natural gas, nuclear, hydro and renewables. The grid was running 60% gas, 20% nuclear 16% hydro and renewables. Pretty good, in terms of emissions! Here's a recent fuel mix graph. In contrast, in the winter, when natural gas was not available, oil and coal were in heavy use (Oil Kept the Power Grid Running op-ed). During the cold snap, the mix was 30% oil, not "less than 1%" oil, as it is now. Coal use was higher, also, up around 5%. So far, there's no particular reason to conserve right now instead of conserving some other time. But let's look at something else. Perhaps, even with natural gas available, the grid is close to maximum capacity in hot weather? Perhaps, if we don't conserve, the grid will fail? Nope. The grid is doing well. If you look at the ISO-NE website, it lists "surplus capacity" right on the front page. At this moment, as I am writing this, on a very hot day, surplus capacity on the grid is 1,180 MW. That is the capacity available above the maximum predicted peak power use for today (23, 000MW) and above the grid's operating reserve requirement for today (2,492 MW). You can always check these types of figures in the ISO-NE morning report. Or, you can simply remember that when ISO-NE predicted the possibility of rolling blackouts in the future, ISO was concerned with winter stress on the grid leading to blackouts. They were not concerned with high summer electricity usage. In short, conserving electricity this summer doesn't save more money or more carbon dioxide then it would save at many other times. As a matter of fact, it saves less of both than it would save in a winter cold snap. Conserving now also doesn't "save the grid" from blackouts. The grid is operating at high capacity, but nowhere near its capacity limits. So why are the utilities pushing conservation right now? Learn the rules for the Game of Peaks in the next post. Micro and Macro: What is the Energy Future? a number of speakers prefaced their comments with statements like “everybody knows the future will be based on distributed generation – primarily with small scale renewables and storage to provide reliability”. Is this indeed what everybody knows? Is there no dissent? We have this romantic fantasy that we can live off-grid with a combination of solar power and battery backup. Of course, with a bit of thought .....we accept that we cannot go it completely alone. The conclusion being that maybe we need to collaborate with our neighbours and build a small system (or microgrid) to achieve the reliability that we need to power our lives. As it turns out, I have also been thinking about microgrids. A few days ago, I heard an excellent talk on smart microgrids by Andy Haun, Chief Technology Officer, Schneider Electric Microgrids Business. These advanced microgrids can be controlled "in parallel" with the grid. When used in this manner, the smart microgrid systems can avoid costs by shaving peak demand and by using cheaper, off-peak power. The microgrids can be also controlled in an "intentional islanded mode," which is especially useful for storm readiness. It seemed to me that while these microgrids could be used stand-alone in remote locations, they were mostly going to be used in conjunction with the larger grid. Or why develop all these "peak shaving" features, and so forth? It doesn't look to me as if advanced microgrids are going to make the bigger grid obsolete, or at least, not anytime soon. Maybe instead of microgrids, we should be looking at really big macro grids? Many of the renewables advocates who hope for a proliferation of microgrids also hope for long-distance DC lines, to bring bulk power from sunny or windy places to places where more people are living. Maybe, the answer is long-DC lines to bring energy across the continent, moving energy from sunny and windy areas to big cities. In other words, really big grids. Earlier this year, Power Engineering featured an article, Enabling Large Scale Renewables in the Western U.S. This article proposed new, lengthy High Voltage DC lines. These lines had names such as Power from the Prairie, and Centennial West. The lines seemed primarily designed to move wind energy from the west to the east. Similarly, in early June, an Wall Street Journal ran an opinion piece titled Upgrade America's 19th Century Electric Grid. This article called for a $500 billion dollar infrastructure project to build DC power lines to "transfer energy between power-abundant and power-hungry regions. " Could this work? Probably not. Donn Dears wrote a blog post DC Transmission for Cutting CO2 Emissions. As Dears explains, HVDC transmission lines are best for moving great quantities of power for long distances; current examples carry hydro power from dams to cities. There are HVDC transmission lines carrying hydro power in the American West (Pacific DC Intertie), and similar lines in China and Brazil. These lines are fully utilized almost all the time, because they come from huge hydro systems with more than one power plant. Such utilization would not be the case for the new DC lines proposed for the US. They would carry wind and perhaps solar energy, which are not steadily available. Low utilization rates would lead to higher costs, and DC lines are only cost-effective in limited circumstances to start with. An HVDC build-out would not work. It would not be cost-effective. Somehow, in pursuit of renewable energy, microgrids (connected to the main grid) or a huge buildout of continent-spanning DC power lines (connected to the main grid) are considered to be options. The main grid doesn't go away, but these new features get added. Now, there are uses for both microgrids and DC lines. Even their proponents, however, are not proposing microgrids and DC lines as a complete substitute for the current grid. At best, they would solve some problems on the grid. At worst, they would be high-cost, duplicative add-ons to the grid that exists now. Build more grid infrastructure, as appropriate. Don't duplicate infrastructure because "microgrid" or "HVDC" sounds cool. Add them as needed. In other words, for a reasonable future, we must pursue suitable technologies. 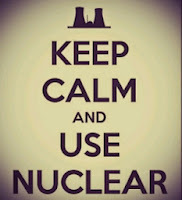 Technologies such as nuclear energy. A major cause of these grid problems is that the New England grid is heavily dependent on natural gas. 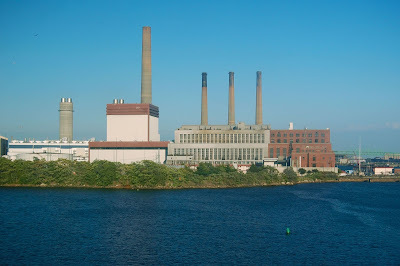 Power plants using natural gas supply about 50% of New England’s electricity on a year-round basis. Pipelines give priority to delivering gas for home heating over delivering gas to power plants. In the winter, some power plants cannot get enough gas to operate. Other fuels have to take up the slack. But coal and nuclear generators are retiring, and with them goes needed capacity. In general, the competing-for-natural-gas problem will get steadily worse over time. 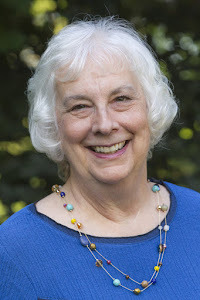 Meredith Angwin is a retired physical chemist and a member of the ISO-NE consumer advisory group. She headed the Ethan Allen Institute’s Energy Education Project and her latest book is Campaigning for Clean Air. This op-ed has now appeared in several websites and news outlets. Links below to the post in other publications, some of which have comment streams. Special note: My op-ed has now appeared in my local paper, the Valley News, on the front page of the Sunday "Perspectives" section. It is always a thrill to see my work in my local paper! Entergy plans to sell Vermont Yankee to NorthStar for decommissioning. As you can imagine, this plan has led to lots of discussions and hearings, and I have even written a few blog posts about it. Oh, did I say "all parties" had signed off on the agreement? Wrong. My bad. The Conservation Law Foundation refused to sign the agreement. In March, I predicted that CLF would do everything in their power to make the sale fall through. I was right. This reminds me of the Sleeping Beauty fairy tale, where fairies are giving their gifts to a newborn princess, but one fairy feels slighted. 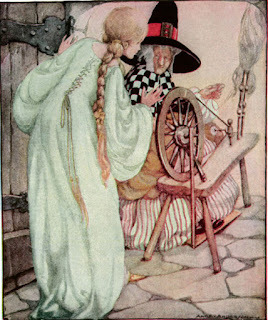 That fairy's gift is a curse: the young princess will prick her finger on a spinning wheel and die. Another fairy partially reverses the curse. The girl will fall asleep for 100 years instead of dying. Thus begins the story of Sleeping Beauty. CLF is planning something similar. I don't know if they actually feel slighted, but I think they sure plan to kill the deal. If they succeed, like the girl in Sleeping Beauty, the VY power plant will be in SafStor for many many years. Sixty years. The economic development of the town will sleep for more than a generation. The people of southern Vermont and the people of Vernon want a clean site and a new employer in Vermont. They are hoping this change will happen soon, not sixty years from now. But when a powerful creature like CLF feels slighted, what are you going to do? A creature like that can stop time. Okay, all that was just a metaphor. CLF is not a magical evil creature. And it is not unstoppable. Basically, CLF is a not-for-profit law firm (Conservation Law Foundation) and an associated "Ventures" group. Guy Page, a frequent guest blogger at this blog, has been following the sale closely. Like me, Page cannot understand why CLF (a bunch of lawyers, after all) won't sign a non-disclosure in order to obtain more information about the sale. I will not attempt to equal Page's excellent commentary in Vermont Digger: Where most see opportunity, CLF sees only problems with VY sale. However, I will quote him. CLF’s knowledge of NorthStar’s plan is limited, due to its choice not to sign a non-disclosure statement protecting certain contract information. If CLF was truly concerned about transparency, it shouldn’t have soaped its side of the window. Aside: I have never understood the relationship between the main CLF and their Ventures. CLF is a not-for-profit 501c3, and they make their form 990 readily available. 501c3 organizations generally have educational or charitable purposes, which can include advocacy under the "educational" purpose. CLF Ventures seems to be a part of the main CLF, and it is described under the Our Focus section of the CLF website. Still, the work CLF does as "Ventures" seems pretty much like the work other law firms do for for-profit companies. For example, here is a quote from the CLF website: "CLF Ventures helps early stage companies gain access to the market through our unique blend of experience. We use private and public networks, our knowledge of the business, market, and regulatory arenas, and our understanding of key gatekeepers to help early stage companies access markets and generate revenues." Helping companies "generate revenues"? Is this service also a part of the not-for-profit CLF 501c3? I can't tell from their website: such services may be part of the main CLF, or not. The website doesn't make it easy to understand the relationship between the two (or maybe just one) entities, CLF and CLF Ventures. It is not transparent. End Aside. As I described in a previous blog post, Entergy plans to sell Vermont Yankee to NorthStar for decommissioning. Most (but not all) of the intervenors are now supporting this sale. The sale must be approved by the Vermont Public Utilities Commission, and the Commission is holding a public hearing on April 12 in Brattleboro. "For its part, Entergy will contribute an estimated $30 million for site restoration, and also will contribute another $40 million, if needed. To its credit, the state did not use the settlement as an ATM machine to fund state programs, as was the practice of some recent administrations." The next - and final - Vermont Public Utility Commission (PUC) meeting is scheduled for Thursday, April 12 from 7-9:00 PM at Brattleboro Union High School in the multipurpose room. An informational session will be held prior to the meeting at 6:00 PM. Please mark your calendars and plan on attending this public hearing. Even though a settlement has been reached, many longtime critics of Vermont Yankee did not participate in the negotiations, and it is likely that they will make their voices heard. The PUC needs to hear from Vernon, Windham County and the rest of Vermont why they support the settlement and why sale of Vermont Yankee to NorthStar is of economic and environmental benefit. Please attend if you possibly can. Page is a frequent guest blogger at this blog. I just participated in a meeting on nuclear communications: the meeting ran on "Chatham House Rule." According to the Rule, I cannot say who participated in the meeting, or what individuals said. I agreed to participate under this Rule, and I am abiding by that agreement. 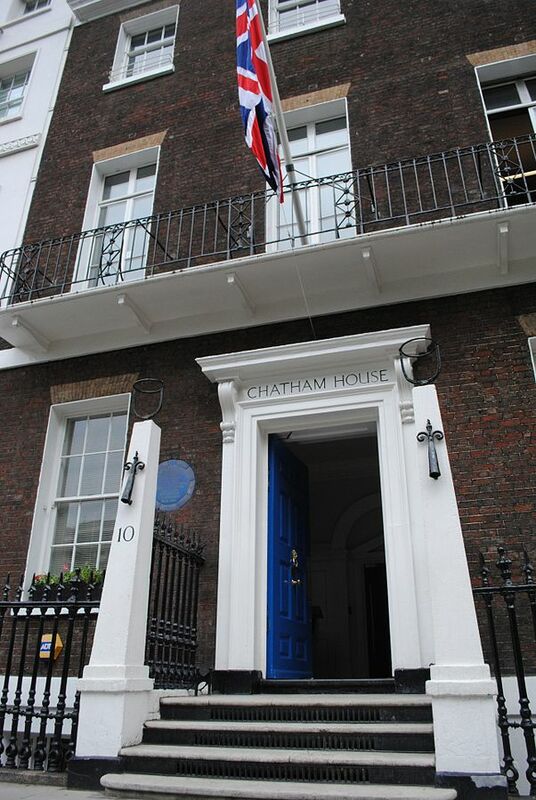 Chatham House Rule allows to me use the "information received" but without attribution. I received a lot of information. Luckily for me, "who was there" and "who said what" was the least interesting part of the meeting. A major point of discussion was what I will call "tribalism." People are far more invested in remaining in good standing in their group than in careful evaluation of data. Not being "in" with your group can get you in big trouble. Humans can only survive in groups. Throughout evolutionary history, a single human, without any group, will soon be a dead human. In other words, right or left, people are not uninformed. They are not stupid. But, as humans, they are far more serious about group membership than about scientific controversies. Can we solve the problems of tribalism? So what do we communicators do about this tribalism? That was a major discussion point at the meeting. It did not end with a clearly defined answer. we should invite people to accept nuclear, without imposing any kind of loyalty oath. Not "accept nuclear because of climate change" for the people who don't publicly accept man-made climate change, and not "accept nuclear because renewables are bunk" for people who are invested in renewables as the way to stop climate change. 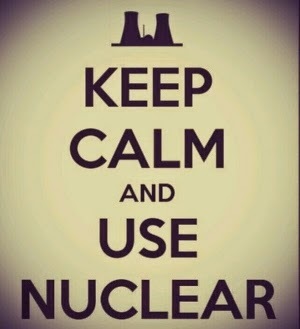 There are many reasons to accept nuclear. In contrast, it is unreasonable and even arrogant for communicators to expect people to throw away their group loyalty in order to be pro-nuclear. Different pro-nuclear arguments are compatible with different kinds of group loyalties. To a large extent, this is why my husband and I put together the book Voices for Vermont Yankee. 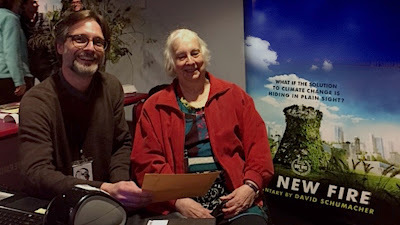 In that book, we captured the statements that ordinary people made in favor of Vermont Yankee. We would never have thought about many of the things that other people said. As communicators, I believe that we have to open our hearts to the fact we are all human, and everyone needs to be included in some kind of a group. When we open our hearts to people and do our best not to threaten their group membership, they may open their hearts and minds to nuclear energy. This wasn't my first rodeo. While I learned more about tribalism at this meeting, I knew about it when I walked into the meeting. What was new to me was meeting people who had a strong anti-grassroots-advocacy stance. These were pro-nuclear people who felt that most grass-roots advocacy backfired and made things worse. They felt that advocacy should be left to trained professional advocates. We should leave nuclear communications to the professional communicators because us free-lance communicators will screw it up? NO! The nuclear industry has had professional communicators, with carefully crafted “messages” and brand-recognizable color schemes—had this stuff forever! Has it worked? NO! What nuclear needs is people who will step up and communicate their own personal pro-nuclear message in their own communities. We need all the voices, even if they are not in perfect agreement with each other. Well. I have to acknowledge something here. "Has it worked? NO!" is too harsh. The nuclear industry would be much worse off without the professional public relations it has sponsored and continues to sponsor. We have some excellent PR people working for us. However, these professionals are not enough. We need grass-roots advocacy. 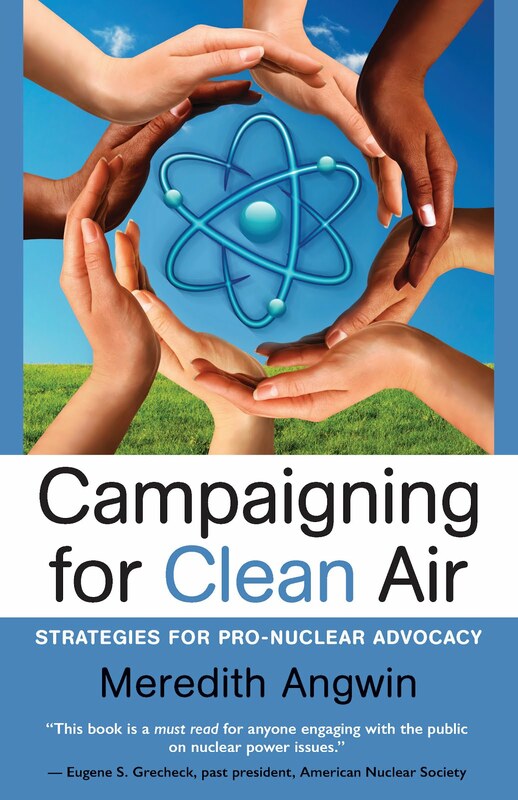 We need ordinary people to communicate their pro-nuclear opinions in their own way. We need people to communicate at their local meetings and to their own neighbors. To write letters to the editor at their local newspapers. And perhaps, even to make their own mistakes and learn from those mistakes. It's not like the professionals have never made a mistake! Pro-nuclear people should feel empowered to speak out. It's about free speech, democracy, and our fundamental values as a society. In Kurt Weill's song, "Caesar's Death," Weill makes a strong and universal statement. Hiding behind the professionals is "hiring clever men to do our thinking for us." This leads to disaster. On Thursday, March 22, the Vermont Nuclear Decommissioning Citizens Advisory Panel (NDCAP) will meet to discuss the sale of Vermont Yankee from Entergy to NorthStar. On March 2, all the parties to the sale (and all but one of the intervenors) signed off on a Memorandum of Understanding. This Vermont Digger article by Mike Faher covers the memorandum and is a little easier to read than the legal document. State, NorthStar strike deal for sale of Vermont Yankee. Why is the proposed sale a big deal? I will attempt to answer that question by answering three subsidiary questions and providing some links. 1) What is this deal about? Choices After Entergy closed Vermont Yankee, the next step was decommissioning. Entergy looked at the available funding for decomm, and it proposed that the plant be put in SAFSTOR while the funding grew and the radioactivity of the plant diminished. (SAFSTOR can last for up to 60 years.) Nobody really liked this idea, but it was financially practical and legal. Entergy didn't like the plan because Entergy has expertise in running plants, but not in decommissioning them. The state didn't like it because the plant would be just sitting there, for decades. Decomm Companies Many other nuclear plant owners have faced this issue, and most have hired a decomm company to do the actual decomm. This is a little complicated, due to nuclear regulations. For example, when Exelon planned to decommission the Zion units, it hired the specialist firm EnergySolutions to do the actual work. However, "hired" is not quite the way it happens. Exelon transferred the Zion license to EnergySolutions, and EnergySolutions will transfer the license back to Exelon when the decomm is complete. The accumulated decomm funds were transferred with the license. In effect, EnergySolutions owns Zion temporarily, and is directly responsible to the regulatory agencies during decomm. The proposed Entergy/ NorthStar deal took this type of deal a step further: Entergy will sell Vermont Yankee to NorthStar, permanently. A Sale The sale plan led to a lot of excitement among the local nuclear opponents. 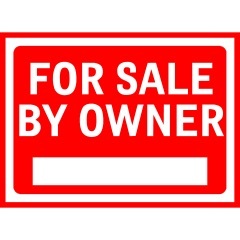 A first-of-a-kind transfer (direct sale, not temporary ownership), and happening in Vermont? Oh my! The list of intervenors grew and grew. I felt sorry for both of the companies (Entergy and NorthStar) that had stepped into the morass of Vermont anti-nuclear organizations. These organizations saw this transfer as their last chance to show the world how deeply anti-nuclear they are. I think they also saw it as their last chance to wring concessions of various types from the companies involved. Well, everyone signed off on the MOU except Conservation Law Foundation, who felt there wasn't enough money or enough guarantees. CLF predicts that the decomm will run out of money and leave Vermonters on the hook, etc. My own prediction is that CLF will do everything in their power, including lawsuits, to try to make their prediction come true. 2) What are the next steps? 3) Should I go to the Thursday NDCAP meeting? Probably. NDCAP is an advisory committee, and its meetings are often very informative. This one will include presentations from Entergy, NorthStar and state officials. The meeting is going to be held at a bigger venue (Brattleboro High School) than usual, because they expect quite a crowd. In Brattleboro, "quite a crowd" can be unpleasant, as legions of nuclear opponents come in (sometimes by buses) from Massachusetts and all over Vermont and New Hampshire. On the other hand, the NDCAP meetings are usually fairly orderly. As I said in my book, meetings are more civilized when the groups are more even. So I do suggest that you go. On the other hand, I am not sure I will go. I may have a family visit that interferes. I may be there, or I may not be there. That makes it harder for me to write: "Absolutely, go!" If I possibly can, I will be there. Suzanne Jaworowski recently asked for input on nuclear communications, specifically for ideas on the best things to communicate about nuclear energy. Jaworowski is Chief of Staff, Senior Advisor, Office of Nuclear Energy at the Department of Energy. Dan Yurman posted her request at his blog, and I posted my Five Best and Howard Shaffer's Five Best at this blog. Today, Nick Escu (his pen name) contributes to the conversation. Escu is a frequent guest blogger at this blog, often writing about natural gas prices. Baseload power is the foundation that the grid depends upon. 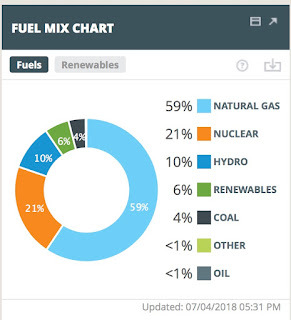 Nuclear, natural gas, and coal are the three baseload power sources for the US grid. Reliability is the function of being able to continually produce power. Factors include: fuel, fuel supplies, sustainability during severe weather. Nuclear plants reliably out rank both natural gas and coal. Nuclear plants produce power over 92% of the time. Coal approximately 57% of the time, and natural gas only 53% of the time. 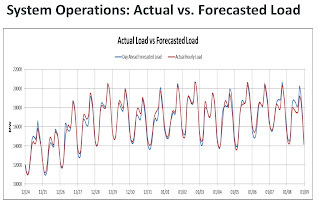 As a baseload, nuclear power is more reliable. There are several factors involving resilience for grid operation. How much fuel does a plant have on hand? Do fuel supplies become unavailable? How does severe weather affect the plant itself? Nuclear plants receive fuel either once every 18 months or once every 24 months. Nuclear plants strive to run breaker to breaker, 24 hours/day, 365 days a year, up to 2 years continuously. The nuclear equipment is extremely safety conscious, with redundancy built in, to order to continue running. Both natural gas and coal have severe limitations on availability of fuel. Homes receive natural gas ahead of natural gas power generators. When pipeline restrictions begin to be affected, such as in a severe cold period, like the 2014 polar vortex, or the recent winter blast, most natural gas plants don't have reserves. Some natural gas plants are now building oil storage tanks, and burning oil during severe weather. Coal supplies in the open, FREEZE. So just because a coal plant has 90 days worth of reserves, doesn't mean those reserves are able to be used, because they're frozen. Many coal plants are now installing ice breaking equipment to break up the frozen coal, and transport it into their plants. At present, nuclear power plants are much more resilient, and in fact, they care for the grid's needs during severe weather. For example, when hurricanes hit Texas, the nuclear power plant's twin units kept supplying power, when all other power sources had shut down. Nuclear power plants are very expensive to build initially, due to the additional safety built into these plants. But the normal pay-off of the initial costs, is completed between 15 and 18 years. But then these nuclear plants run efficiently for the next 40 to 60 years. The average life span of a natural gas plant is 19 years, before an entire re-build is necessary. Natural gas plants are smaller, power wise, than a nuclear plant. Natural gas plants are able to be licensed quicker than nuclear plants, so a 450 MWe natural gas plant, which costs $2.5 billion is able to be licensed and approved within a year, and constructed with 3 years, as compared to licensing and building for a nuclear plant within 10 years. So where exactly are the lower costs? First, natural gas is a polluter of the air, and eventually, assessments will be required for the pollutants natural gas spews out every day. Next, natural gas prices swing from as high as $14/MMBTU to as low as $1.72/MMBTU. Since the recent $1.73 in March, 2016, the steady natural gas prices have risen to $3.65/MMBTU, over a 100% climb in 2 years. That steady climb is partially due to the export of Liquefied Natural Gas (LNG) to foreign countries willing to buy nat gas at $17.00/MMBTU. Prices are rising. When natural gas reaches $4.75/MMBTU, nuclear power becomes cheaper than natural gas. But for now, nuclear plants are less expensive, for several reasons. Fuel for nuclear plants have risen less than 7%/year since the 1990s. Additionally, power is continually produced by nuclear plants: their reliability and resilience far outdistances both natural gas and coal. 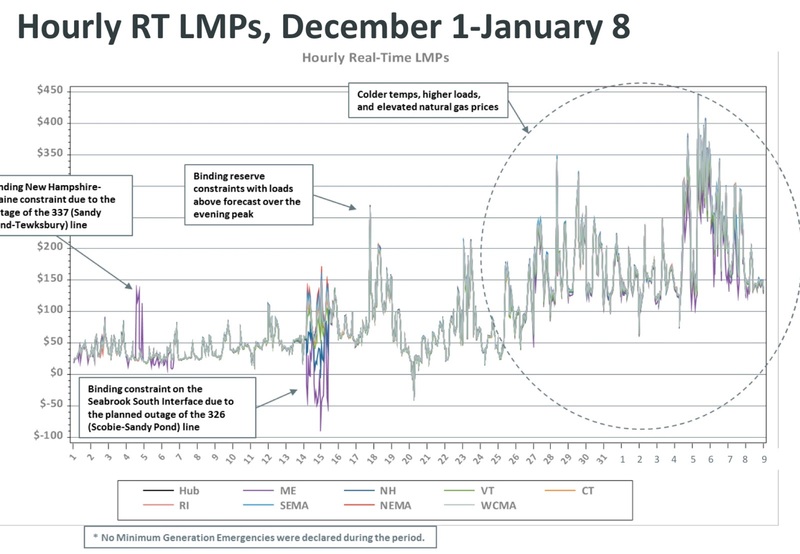 Natural gas prices spike during severe weather to sometimes more than $500/MMBTU. Nuclear remains steady. Nuclear plants are operational for 60 to 80 years, at the same location. Natural gas plants effectively have to replace everything every 19 years. So megawatt vs. megawatt, nuclear power is built much stronger initially. It out lasts and out performs natural gas in a less expensive manner. Nuclear plants contribute massive amounts in taxes, in community involvement, in family and community building, because of so many exceptionally talented and experienced people, contributing to their local communities for their working and retirement lifetimes. When a nuclear plant is closed ahead of time, communities and people of those communities suffer tremendously.